Home › Answers to Relationship Questions › KEY DATING TIPS FOR MEN AND WOMEN: WHO PAYS FOR THE FIRST DATE? During a recent telegathering I discussed first date tips for men and women. The one relationship question that everyone wanted answered is: Who should pay for the first date? The traditional rules of dating dictated that the man paid for everything. Women didn’t need to bring any money – since she wasn’t expected to have a career, she wasn’t expected to pay. Society has changed since the 50’s and 60’s and the majority of women have careers and their own income. Therefore, the dating rules have also changed. My dating tips for men and women for first dates departs from traditional standards. If the first date is the result of an online setup (i.e., you’ve exchanged emails, chatted via an online message application and talked on the phone), then each person would plan to pay for his and her own tab. The same would apply in a situation where you are set up by a mutual friend, but have never met prior to the first date. One of my clients on the call said that she appreciates if a man offers to pay on a first date and he may do so, but this should never be expected. But who pays if the date is a result of an initial meeting? Who is responsible for the bill if the pair met at a social function and is now venturing out in a dating capacity? You may be thinking the guy should pay. And you may be right … only if the man asked the woman on the date. However, one of my dating tips for men and women is that if you ask, you pay. I believe that a general rule for the first date is that the person who asks for the dates should pay for the bill. For a list of dating ideas of where to take a date in the DC area, please visit http://www.dcdatinginfo.com/takeadate/ as well as to sign up for my weekly Dating Tips for men and women. I hope you’ll join me for the next telegathering, which will take place on 8/16 at 9 pm EST on the telephone. We will be discussing How to Find Love Now that the Summer is Over! PS. My SUMMER SALE of 35% Off my Entire Dating Success Package Program will expire on midnight of Monday, 8/16. Don’t miss this great opportunity to learn how to date with more success and with greater confidence. Read details at www.getloveright.com/datingpackage.html. 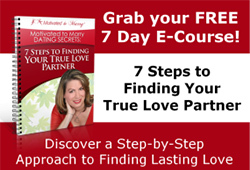 ‹ Should you Outsource Your Internet Dating Activities? Hi! Someone in my Myspace group shared this site with us so I came to take a look. I’m definitely enjoying the information. I’m bookmarking and will be tweeting this to my followers! Excellent blog and fantastic design and style.